One of greatest wonders of our beautiful country is its diversity. From snow-capped peaks to white sand beaches and plenty of lush bush in-between, we are truly spoilt for choice where we want to hold events and functions. Wherever it may be, I am more than happy to meet you there and capture your time at your given location. Of course this diversity is not just outside our bedroom windows and travelling from place to place is an accepted fact of life. Packing the car, fumbling through a road map many years outdated and letting the car stretch it’s legs on a long trip are all part of the fun. From an endless West Coast beach where the sea runs undisturbed until it and the sky meet in a firey kifss at sunset. Or an old church, standing proud in it’s faith, the ancient stone and wood withstanding the ages to remain a sanctury for so many. These are all just a scratching of the places you will undoubtedly hold your next event at. From Cape Reinga and all the way down, you are spoilt for choice from the counless venues – either natural or man-made – that you can use as a centre for your special day. NZ Photographers: National Photography Services in New Zealand – Nowhere is Too Far! Simply let me know what locations you are looking at on initial contact and I can give you an indication of the travel cost along with the quote for the photography work. If the venue is within central Auckland there is usually no travel cost. If the location is beyond a day’s drive, I am happy to stay the night somewhere if necessary. Travel isn’t seen as a chore for me. An opportunity to hit the road is one taken with earnest and joyas driving is one of my biggest pleasures. If a journey is deemed too short, I will happily take an unnecessary detour to extend the trip – time permitting of course. Before you panic, don’t worry! I leave these guilty pleasures out when I am traveling to a shoot location. Remaining professional is my highest priority so I take care to remain punctual. Making you wait on me is an embarrassment and not part of the Pass The Salt philosophy. I have had occasions where atraffic accident caused me to be late since there was no alternate route. If the unavoidable instance happens I call ahead and let you know what’s happening.  If you have any queries please contact me so we can discuss your requirements otherwise please continue to have a look around my site and learn more about the Pass The Salt difference.